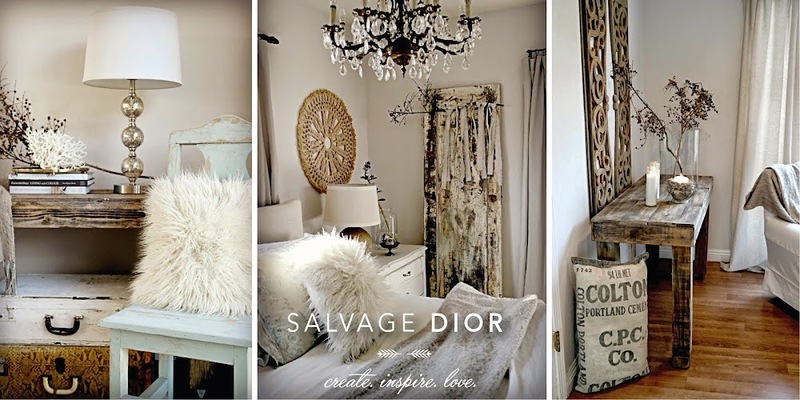 Salvage Dior: White Wednesday " Mixing it Up "
Looks wonderful! I like the added black against the burlap too. Enjoy your week my friend. I lovelovelove the chippy ogtagon table I realllllly love it alot :) (hehehe) Have a great Thursday! Lovely! Wish my folks still lived in Orange so I could pop over and see it in person! YAY Kate, mixing it up keeping it fresh is always great! I love black and it looks great added into the space, well keep us guessing at what is coming next. I wanted to let you know I just got through spending about an hour looking through your blog. It is beautiful. I also really like your booth space. I also have a booth here in Alabama and I truly love it. I understand what you mean when you say the lupus and the cancer can't reach you there. I have retreated many times to "work" in my booth. I should really call it therapy. You have been burdened with more than most people but your positive attitude and your faith in God will be your best medicine. Along with the obvious love of your family. With great joy that I found your blog. Okay Ms. Kate, what I want to know is what is sitting in the middle of your living room to replace the little cart? I'm sure it must be VEEERY PREEETY! Wow, it looks gorgeous! I wish I lived closer because I sure would be paying you a visit!! Love it all!! Have a wonderful weekend! Your little space always looks so awesome after you've been there working on it. Then within what seems like minutes, it is stripped naked! But that is a good thing in retail, right? I just wanted to say thank you so so much for my wonderful gift!!! I was thrilled when I opened the sweet little package!!! I love Starbucks Tea and have been doing without so this is a treat for me!!! And when I opened the tea towel..I swooned..I love love love birds and this is so me!! You could not have picked a more perfect gift for me!!! I plan to use it as a curtain in my tiny kitchen window!!! Okay enough about me....I cannot believe you have a college aged son!!! I thought you were in your 20's!!! Must be all of that good living in Cali!!! And last but not least..how is your sweet Mama doing??? Give her some shugar from a kooky lady in Oklahoma!!! She is in our prayers!! Such a stunning WW post! That chippy octagon shaped table has my name written all over it! Oh such gorgeousness....love how you put stuff together Kate. Wish I could shop there~I'd buy you out! I am loving your booth!!! As a fan of black, I definitely love the look of the black on burlap. I definitely love the black. I always have to incorporate it somehow. Your space is so nice! The obelisk is my fav I think. I need to get back down there soon. Have a super weekend. Can't wait to see what you post next! Hey again! Just got your comment, thank you. Sounds great! So funny because my dear friend Margaret and I were just talking about you tonight and how we would love to meet you down there sometime. I spent some more time this afternoon reading your older posts and cried and laughed so much! I truly admire your perseverance and love for your family. You certainly are dealing with a lot but it's clear that your priorities are in order - Jesus is bigger than all that stuff. Psalm 55:22, 1 Peter 5:7. Hi Kate! Your space is simply stunning! I am loving all the white chippy pieces, especially that chippy diva. I would have snatched her up and taken her home too! Your booth looks great! I particularly love the burlap ribbon and sparkly brooch detail where you've tied it onto that obelisk. It's all in the details!